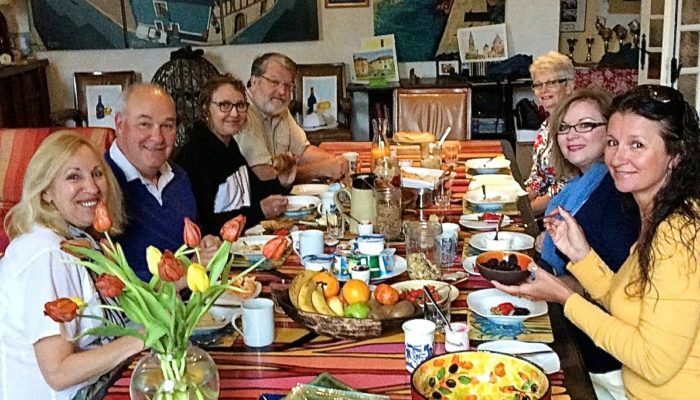 Welcome to the ‘MyFrenchLife™ Member Interview Series’ – interviews with savvy Francophiles from all around the world capturing their passion, secrets and tips, all about their favourite places in France, from Paris to Gascony. I fell in love with Paris on my first visit in 1962 when I was hitch-hiking around Europe. 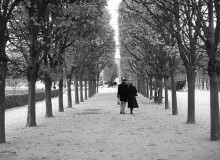 Although I now live in Mezin, southwest France, my passion for Paris is reinforced whenever I find myself there. 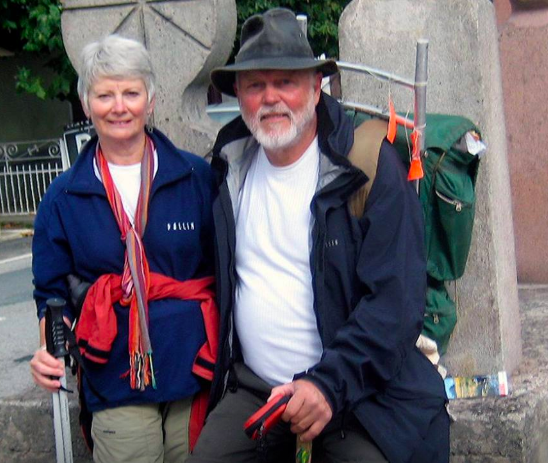 Having lived in several countries, including twenty great years in Australia, when Lynne, my wife and I became ’empty nesters’, we decided on a new challenge and a change of lifestyle. So we relocated to Gascony. Although most of our friends and relatives thought us mad, this was much easier than we had expected. 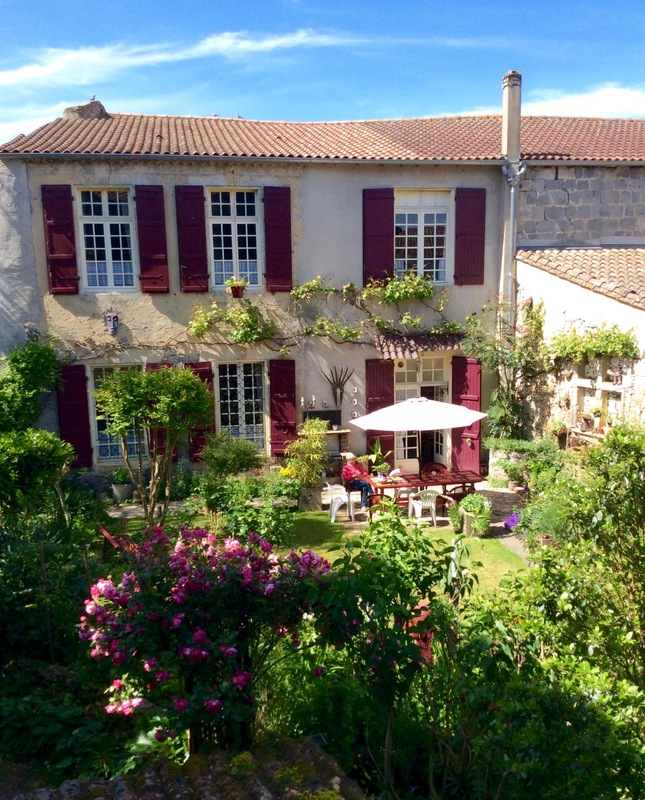 Buying a house in France, for example, is a simple exercise, and probably less complicated than doing the same thing in the UK or Australia. Since our move to Nouvelle Aquitaine, every day has been an adventure. Many years earlier, in 1962, when I was an art student hitch-hiking around Europe, I’d stayed at a youth hostel in Rue Duplex in Paris. It was a memorable experience. I’d never seen cobbled streets, and every boulevard, rue or ruelle looked like a movie set from The Three Musketeers, Irma La Douce or a film about Joan of Arc. I immediately fell in love with the capital. France was also my first exposure to foreigners. and also liked soft, smelly cheeses, garlic and even snails! France is a country composed of many different countries, and it’s the most popular tourist destination in the world. Normandy, is often the first departement the visitor experiences. It’s famous for Mont St Michel, cider, crepes and lots more. The Alps and the Pyrenees, always worth a visit, are spectacular snow capped mountain ranges. The scenery on the Cote d’Azur is breathtaking. Le Périgord does truffles and foie gras. Alsace is just ‘gobsmackingly’ beautiful. 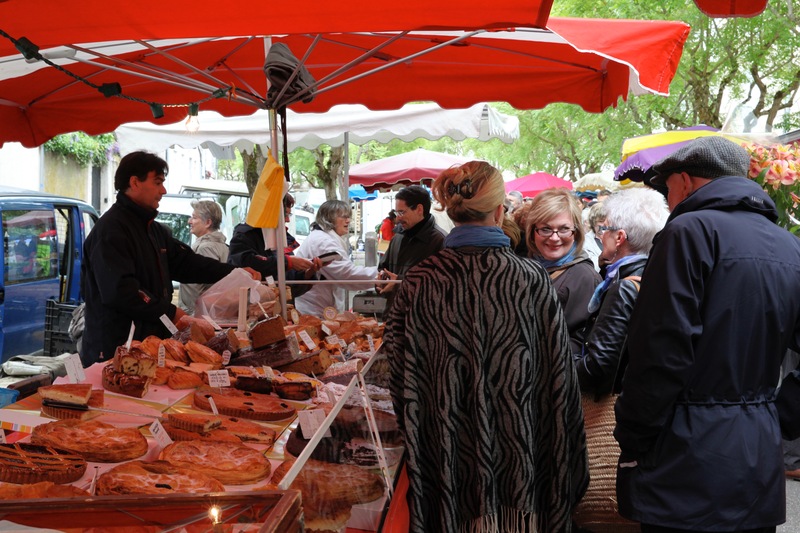 Provence is famous for its beautiful villages, food, wine and weather. 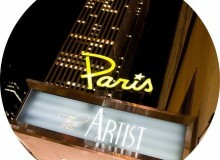 Then there’s Paris. It almost defies description, but I’ll try to do it in a few words. It’s elegant, interesting, exciting and stimulating. And once again there’s the food…. The choices are endless. And in our experience of relocating, the French have been welcoming, warm and generous. Although the paperwork is formidable, the bureaucrats are always helpful and understanding. In my opinion, the same applies to all of France. Well, in case all this sounds rather harsh, I hasten to explain that we always got on very well with our kids. And we see them often. Plus we thoroughly enjoyed the wonderful years we had bringing them up in Australia. But sooner or later every parent has to wrestle with the ’empty nest syndrome’. Your babies eventually grow up, get jobs, leave home, move in with friends or go to university. Bye, bye Mum and Dad. See you sometime. 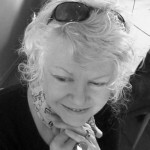 Lynne spoke French and had been an au pair in Paris in the sixties. 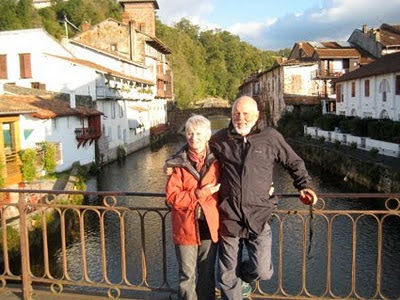 When we were thinking about retirement, someone told us that the real estate in France was very attractively priced. 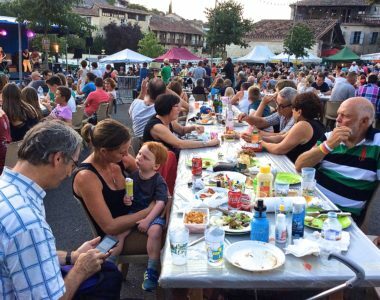 After a bit of research France started to look like it could be a positive and enjoyable life-changing experience. Let’s give it a go, Lynne said, we’ll make it an adventure. OK, so we’ll give ourselves a year to find our dream home. Despite Anglo Saxon prejudices, buying a house was easy. It’s a simple exercise, and probably less complicated than doing the same thing in the UK. So, after eight months of exploring France, we moved into La Petite Galerie, a seven-hundred-year-old stone house in Mezin, a medieval village in Gascony. 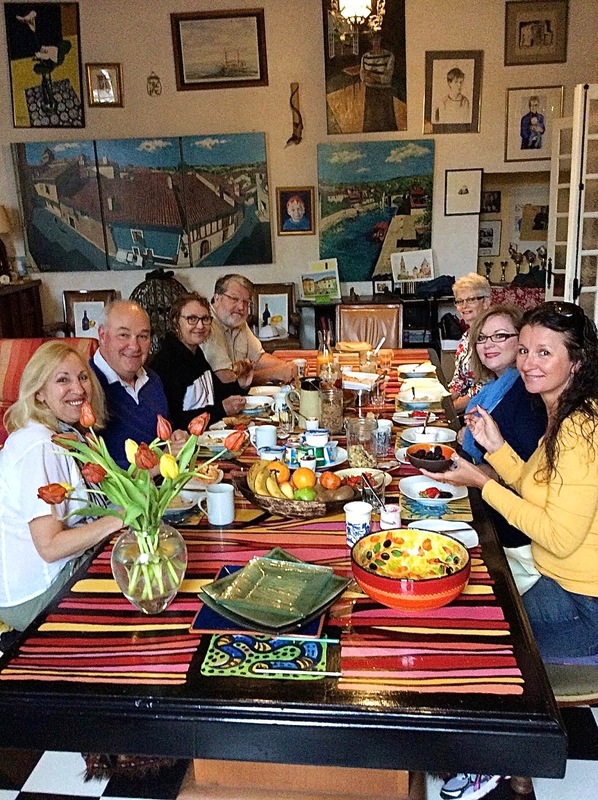 We now offer accommodation for travellers at La Petite Galerie, art classes, walks and much much more – see the scene at breakfast below. 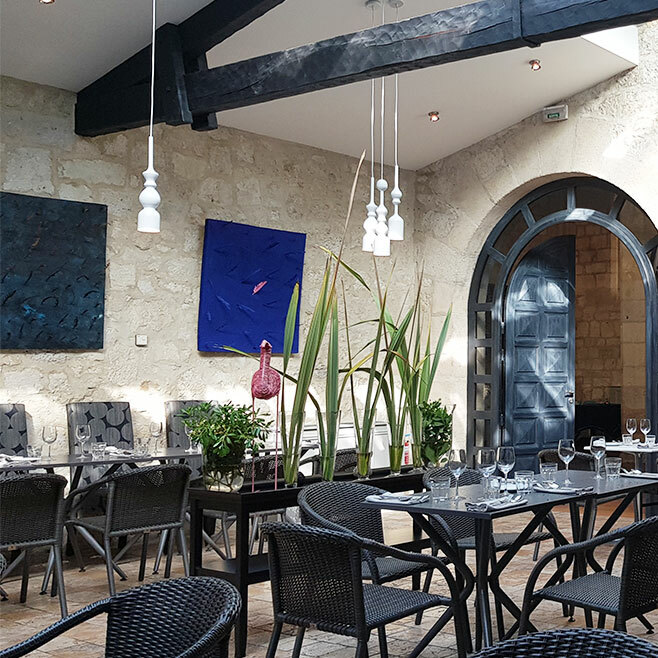 At the budget end, good local fare and cheap bistros abound in Gascony and everywhere in France. Avoid the a la carte section of the menu and choose the daily formule for a good deal at a set price. Try lunch in a bar or roadside cafe offering a ‘Routiers’ menu. It’s always hearty, tasty and economical. 1-Star rating means: A Very Good Restaurant in its Category. 2-Stars indicate: Excellent Cooking and Worth a Detour. And 3 Stars promise: Exceptional Cuisine and Worth a Special Journey. 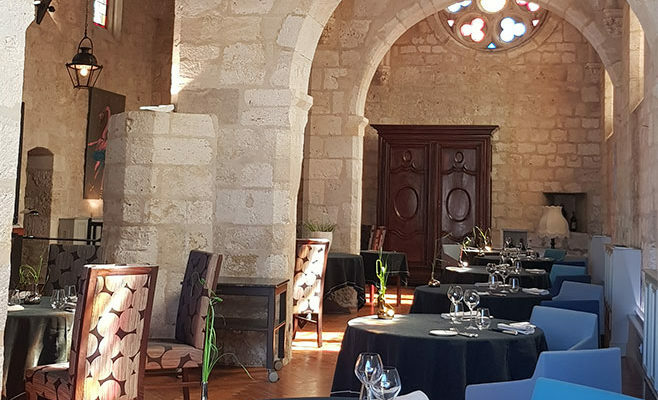 Our local top end restaurant, La Table des Cordeliers, is set in a restored thirteenth century chapel in nearby Condom. It’s a fabulous place with 1 étoile. 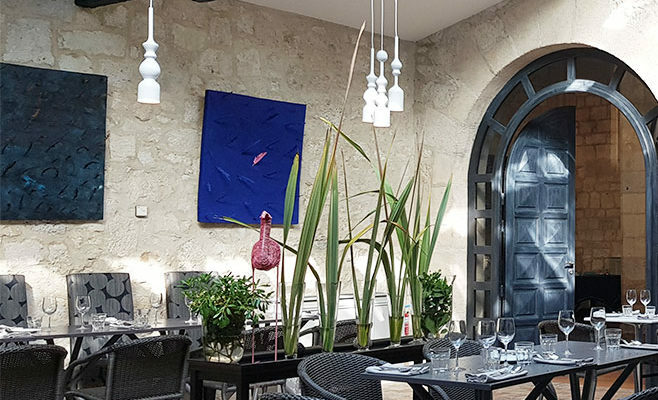 the main Côté Restaurant offers the Menu Découverte for €138 – see above. But we invariably go for the Côté Bistrot at €25—always outstanding, different and delightfully presented – see below. Here’s a good way thrifty tourists can save a mint on food. Get yourselves organised for a picnic – its easy! Get a plastic plate and glass and a knife and fork from a supermarket when you arrive. 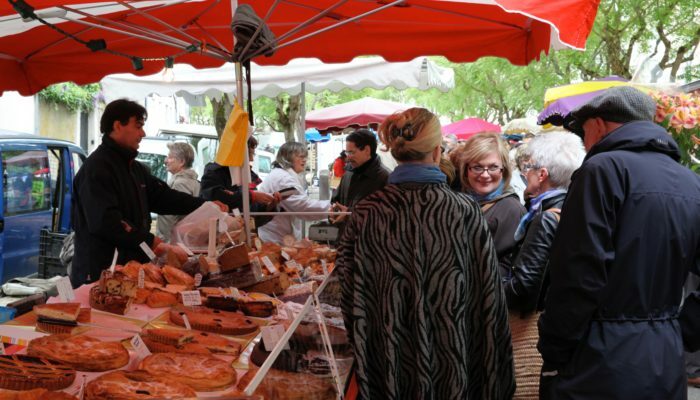 In France there’s always a fresh produce market somewhere near you. They’re endemic and you’ll find them on at least one day a week in every city, town or village that you’re visiting. Then find a comfortable wall, step or bench. A baguette, with pate, saucisson or camembert and a punnet of strawberries, or an apple or pear will always make an excellent picnic lunch. And don’t forget to fill up your car at a supermarket—not on the autoroute. 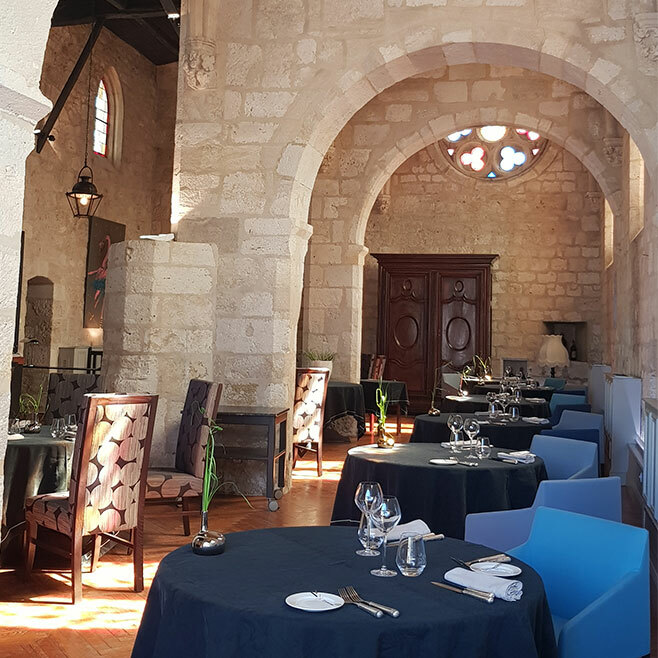 In Mezin, you select your food and wine from the range of stalls. 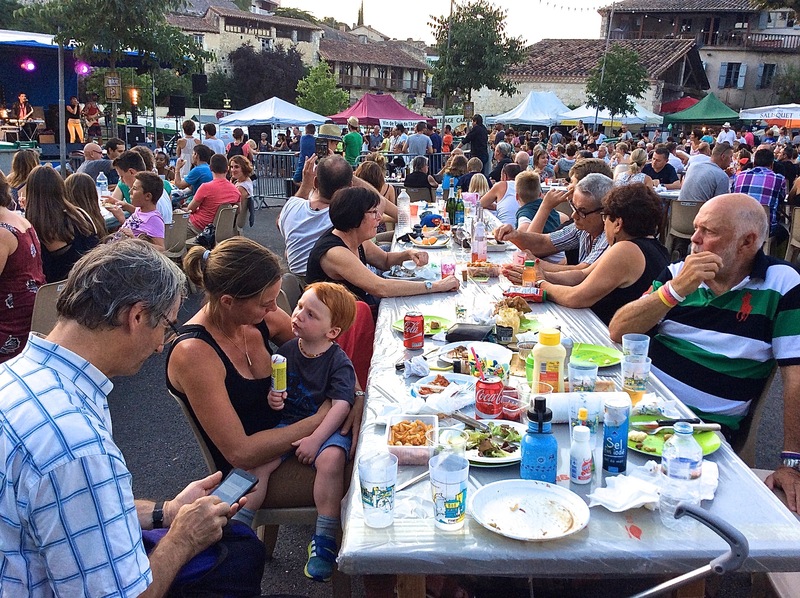 Then eat en famille with everyone else in the village square. It’s light until late and the festivities usually go on until the early hours. Looking for a short walk with fewer tourists than locals in Paris? A stroll along the Canal Saint-Martin is close to river traffic negotiating the swing bridges and locks. 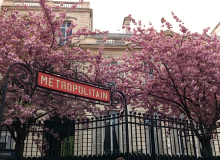 A great ‘get to know Paris without the tourists’ walk. You’ll find yourself walking on canal banks bustling with bars, bistros and cafes. On Sundays the roads either side of the canal are pedestrianised. 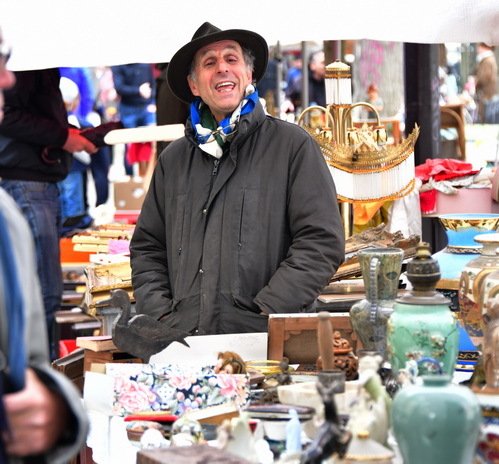 Although it’s more an amble than a walk, the weekend only Puces Vanves will appeal to all trash and treasure enthusiasts. I once bought an antique bottle opener I knew I couldn’t live without. It only cost a few euros, but I’ve never used it. We have quite a few that are far less complicated—and quicker. 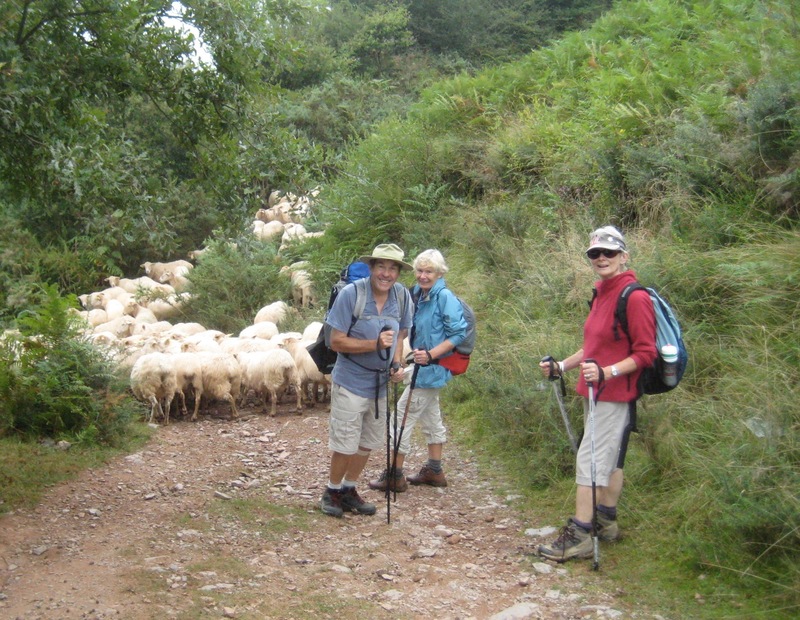 Lynne and I both have the walking bug, and France offers a smorgasbord for all walkers: short, long, strenuous, easy or anything in between. Your first port of call for information should be the Office de Tourisme. Someone will speak English and it will be all geared up with advice, maps, and information. A few days on the St Jacques Route (The Way of St James) anywhere in France is always a great experience. And it’s much easier than you might think to organise for yourself. All that’s required is a little bit of research—and then decide how long you’d like to walk – see to the left and below. The Robert Louis Stevenson (author of Kidnapped and Treasure Island) walk is a little more complicated to arrange, but a very rewarding experience, and highly recommended. Am I a different person when I’m in France? I always feel invigorated when visiting France. The ambiance is invariably exhilarating. And for me when in Paris, at the first sighting of the Tour Eiffel when approaching by road, one is aware that something special lies ahead. It’s like a charge of electricity racing through the body. My wife worked as an au pair in the sixteenth arrondissement in the nineteen sixties. Thirty years later we visited the family she’d worked for. They invited us to lunch. Outside the apartment, the street was ‘nondescript’. Inside, their home was sumptuous. The meal was delicious, with a view of the Eiffel Tower from the dining room window. I always enjoy just ambling around the Left Bank in Paris and occasionally surprising Parisians with my Gascon accent which always confounds and amuses. Did it all go to plan? 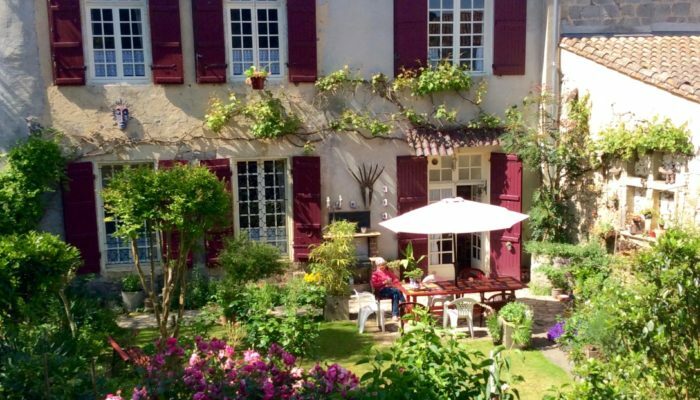 In France, there are tax breaks for business offering accommodation, so right from the start at La Petite Galerie, we offered chambres d’hotes and painting and walking holidays to help gagner les sous. It’s not exactly a testing lifestyle so, after business life, it suits us perfectly. And we’ve never looked back. But what about the ‘natural gulf’ between you and the French? you may ask. Well, in our experience, the French have been nothing but welcoming, warm and generous. And although some of the paperwork is formidable, the bureaucrats are always helpful and understanding. And the flowers all over the village are changed several times a year. health cover is second to none, usually coming out at, or near the top, in international surveys. And how do your children feel about your move? some people have asked. Well, we probably see our kids and grandchildren as often as we would if we’d stayed in Melbourne and they’d gone to uni in Perth or Brisbane. Or followed partners or spouses to Darwin, Alice Springs or Adelaide. Or found jobs in London, Berlin or New York. And France is a tourist hub—so it’s easy for friends from Australia, America or South Africa to add a cheap Ryanair flight (very cheap really) to their European holiday and simply hop over to visit us. It happens regularly. So, to sum up, twenty years in France has been a unique and special undertaking. And more fun (much more, I’m sure) than arguing over which colour label sardines to buy in a Frankston supermarket in Australia—or waiting for our grandkids outside their schools. And, after twenty years in France, we’re both reasonably fluent, well integrated and consider ourselves… well, if not quite French, at least les vrais Gascons. Wherever you’re going, plan your trip to include a Paris stopover. Visiting the Louvre can be a formidable and tiring experience. The Mona Lisa is impossible to see and a great disappointment anyway. But if you must go, my advice is to do the research beforehand and decide what you want to see—and then stick to your plan. Otherwise you risk getting lost in Etruscan pots and vases or rooms full of scraps of Egyptian papyrus. On the other hand, the Musee d’Orsay is easy to get your head around and has nothing less than a stupendous collection of history’s most important art schools. (And remember its free entry on the first Sunday of the month). Thank you Ray, I loved finding out more about your life in Gascony. You are, I’m sure, an inspiration to many other members. What is your ‘French life’ dream? Have you spent time in Gascony? Do you have any tips to add to Ray’s? Please join the conversation in the comments section below. 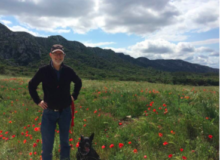 You can read Ray’s many articles as a Contributor to MyFrenchLife magazine!